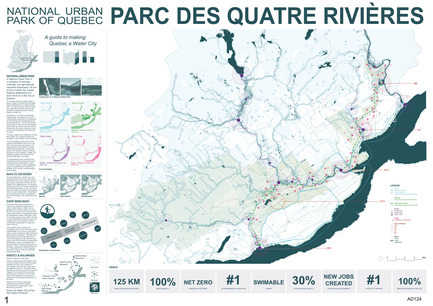 On September 19, 2017, the City of Québec presented the three winning teams in the Reinventing Our Rivers competition. In attendance were Régis Labeaume, mayor of Québec City, and Julie Lemieux, vice chair of the executive committee responsible for culture, heritage, and urban planning. The U.S. team CADASTER from Brooklyn took home the $100,000 first prize. 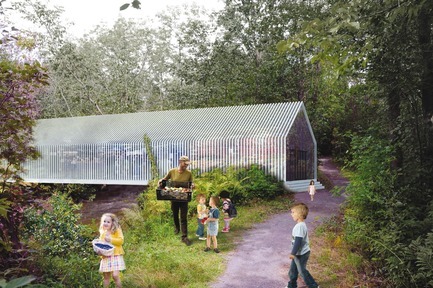 The second prize of $60,000 went to the White Arkitekter team, representing Norway, with members from Europe, the U.S., and Canada. The third place prize of $40,000 went to the JOO HYUNG OH team from Glendale, California. The jury’s deliberations sparked useful discussions about the impact of the competition for Québec City. The selection process also got the ball rolling on the long-term planning for the rivers. 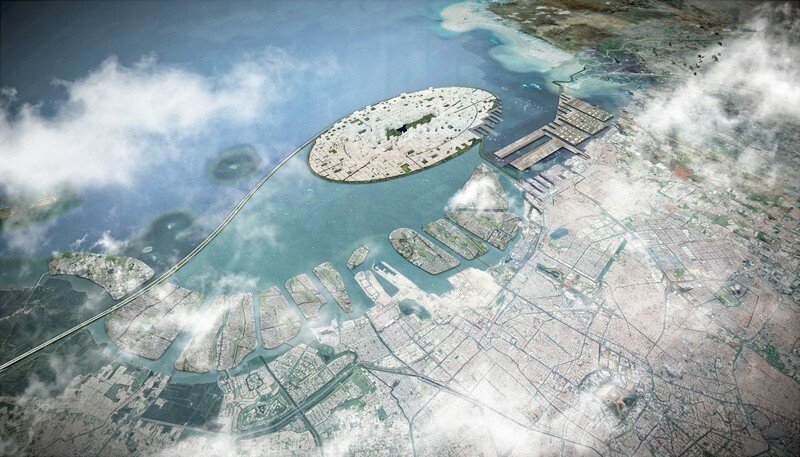 The jury members discussed the proposals and noted that each one contained ideas that could be useful in drawing up the River Development Master Plan. The Headwater Lot proposal offered realistic, concrete solutions to the questions of river accessibility and use that are smart yet simple. 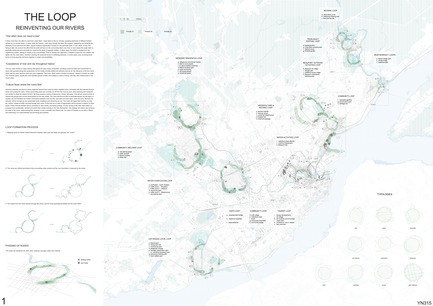 The team’s keen understanding of the community and its environment showed in their plans for reconnecting the urban fabric with the natural environment , which won over the jury. 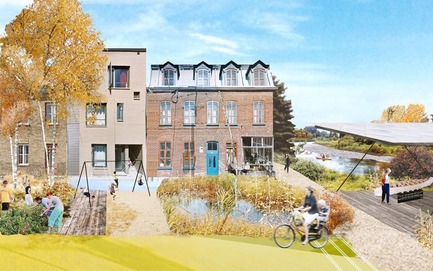 Their proposal sent a powerful message, conveying a clear, simple development strategy that works for all four rivers and that could have a major impact on the future of the rivers, the development of the city, and the daily lives of its residents. 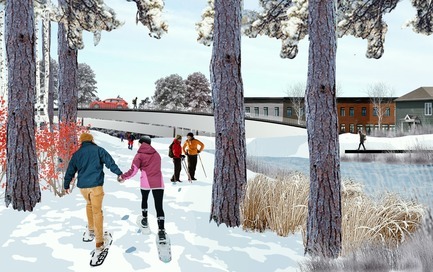 This proposal was evocatively titled Parc des quatre rivières, National Urban Park of Québec. 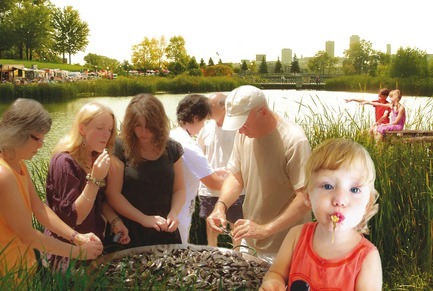 The jury loved the idea of a national urban park. They found it bold and innovative. The intentions were clear and the proposed methods convincing. 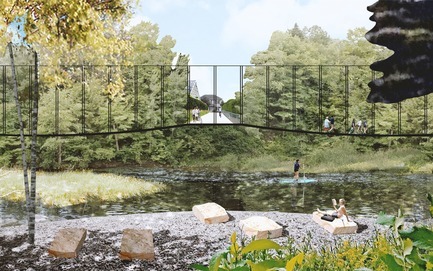 The overall theme and its multiple applications highlight the right of residents to enjoy the rivers in different ways, with the addition of many new park features to help bridge the divide between urban and natural environments and encourage residents to truly reconnect with the rivers. 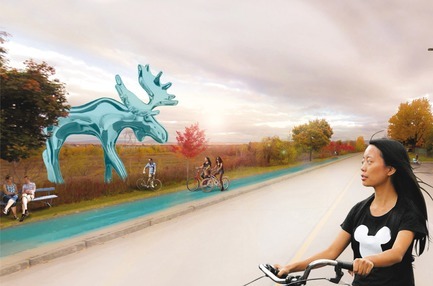 Called The Loop, Reinventing Our Rivers, this highly imaginative proposal grabbed the jury’s attention. 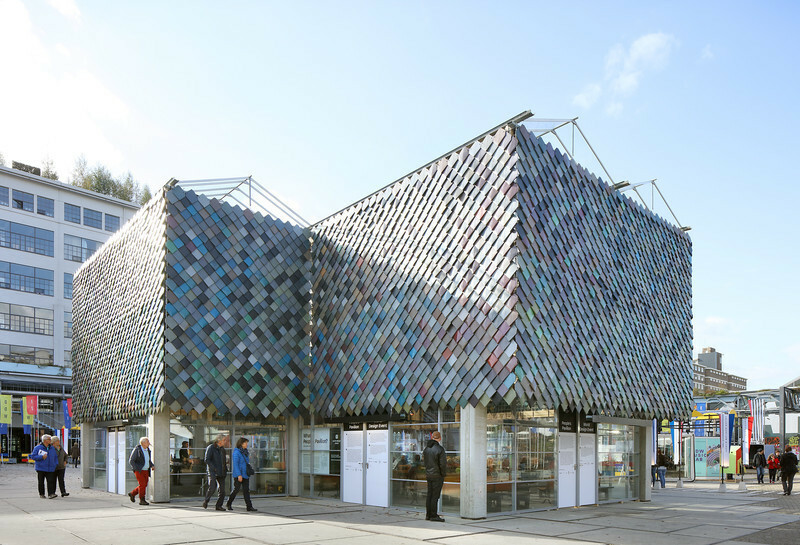 The proposal generated strong reactions among the jury, with some members applauding it for its boldly imaginative scope and others underscoring certain flaws. In general, the proposal was very powerful as an idealized, utopian vision, but hard to imagine in terms of real world implementation. 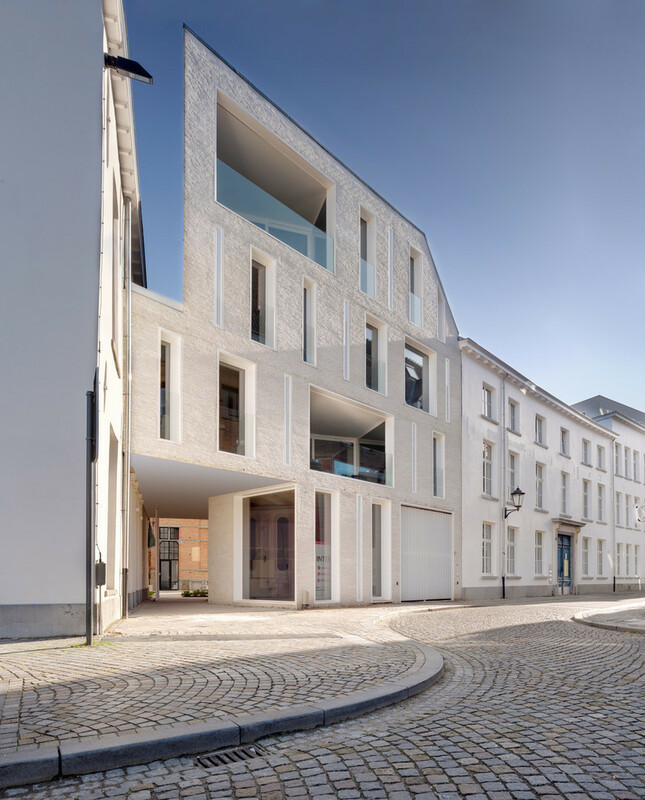 Nonetheless, the wealth of inspirational ideas it contained—it was an ideas competition, after all—earned this proposal a place among the winners. 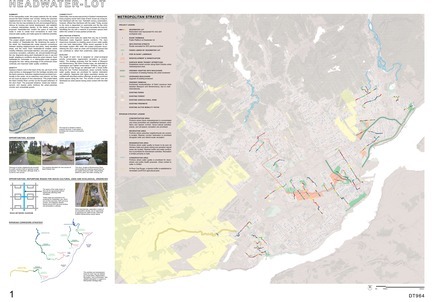 To view the winning proposals, visit https://www.ville.quebec.qc.ca/planification_orientations/eau/rivieres/index.aspx. 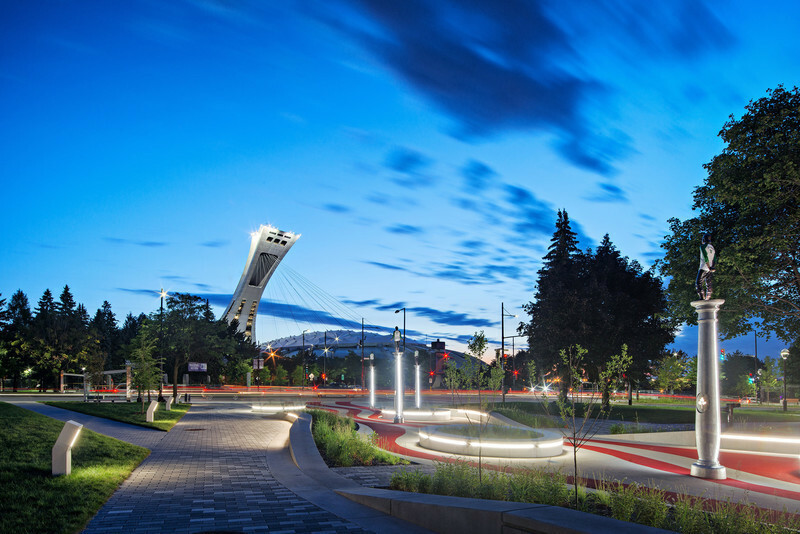 The Brown Mill Dam Bridge and Park area at the intersection of Headwater Lots at Avenue Royale and Boulevard François-De Laval is a space for cultural activity. It invited people to stay and enjoy the sounds of the cascades. 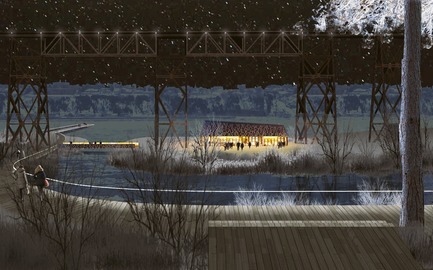 The covered platform at the river space is shown as a exhibition grounds connected to Pointe-aux-Lièvres sports site and proposed park redevelopment area. 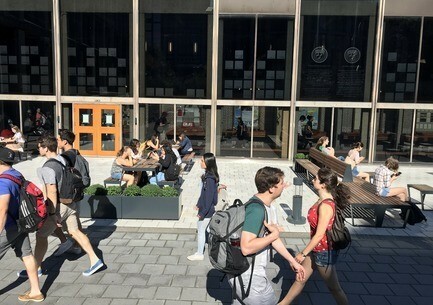 This terminus is grounds to celebrate the relationship between the expanded mixed-use corridor, existing urban areas, and ecological design of the headwater lot. 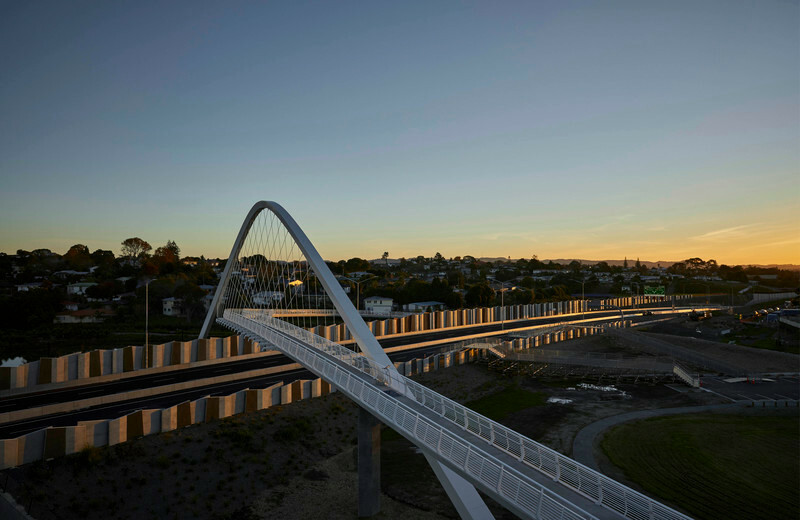 The river terminus here is designed as a low water crossing, a space for close interaction with the water. 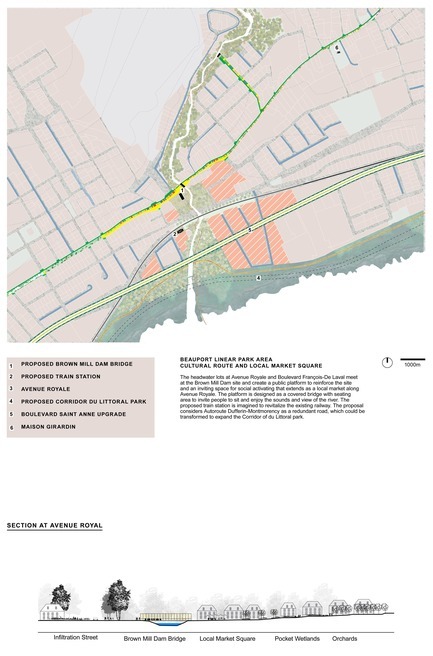 The space of the headwater lot is proposed to be a path for local agricultural trail. The riparian forest buffer is regenerated to improve water quality. 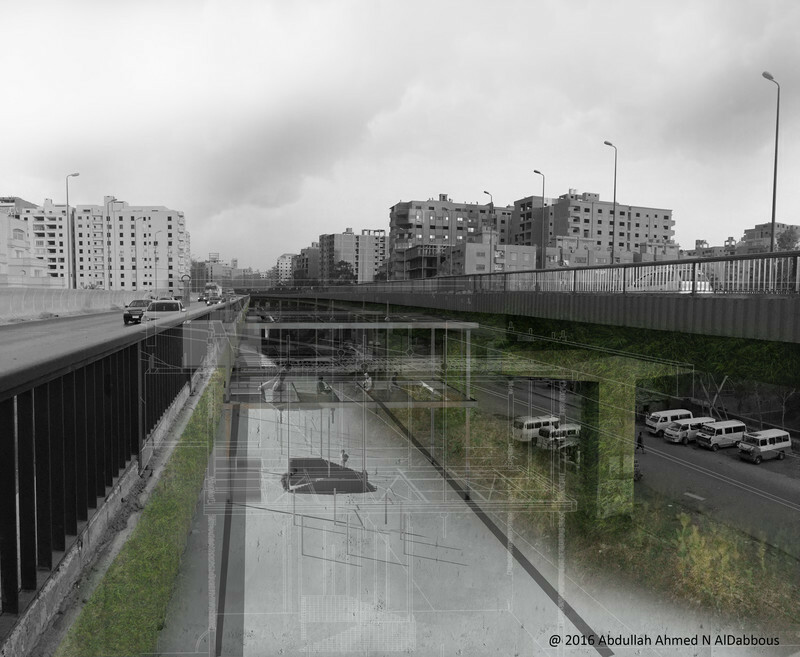 The Beauport Linear Park is to be extended and can continue below the overpass of the upgraded boulevard. Banks are shown to be renaturalized in this area. 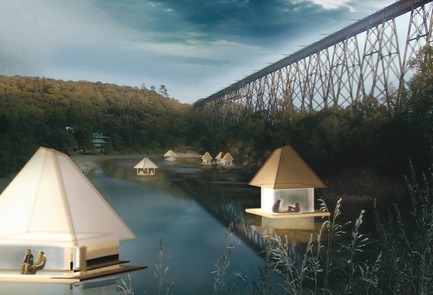 The river terminus is designed as a multi-use wooden dock. 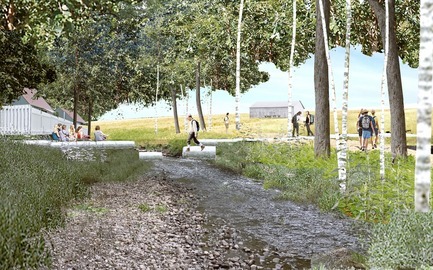 The headwater lot in suburban areas is imagined as an expanded public space that provides a strong access to the rivers. 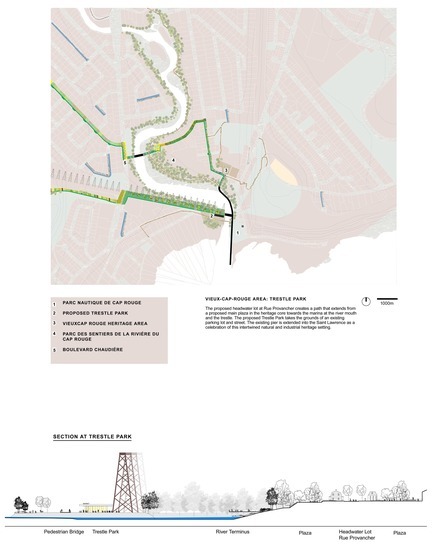 The river terminus in wide riparian corridors is considered to have a minimal intervention for public interaction. 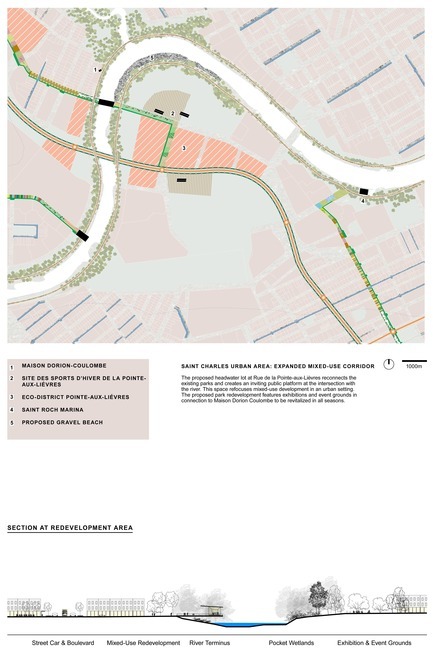 Gravel beach on the inner bend meanders and a suspended walkways are proposed here. 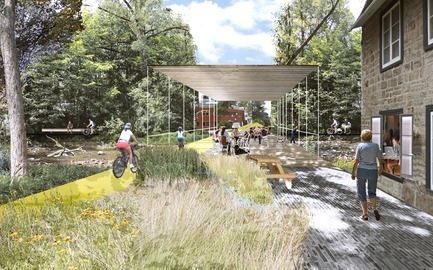 The proposed Trestle Park is designed to have a market building and outdoor seating area below the Trestle. 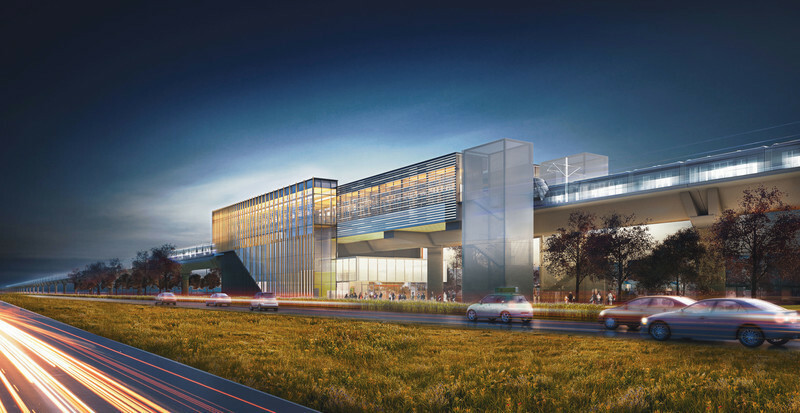 The terminus here is shown as wooden deck that connects the proposed Vieux-Cap-Rouge plaza to the Trestle Park and Marina area where the Saint Lawrence pier is extended.